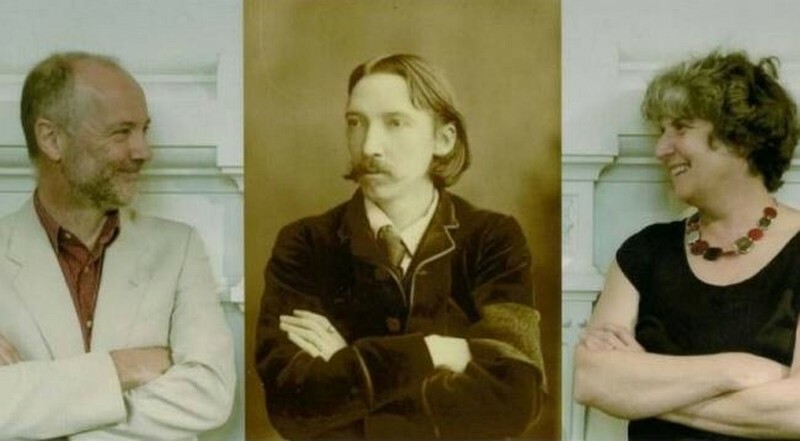 Sing Me A Song: A multimedia show on the life and works of Robert Louis Stevenson. Ahoy me hearties! This September acclaimed Australian duo Neil Adam and Judy Turner will bring their show “Sing Me A Song” to New Zealand. Audiences will experience the wit and wisdom, the adventures and heartbreaks of swashbuckling Scottish author Robert Louis Stevenson, author of Kidnapped, Treasure Island, Dr Jekyll and Mr Hyde and much more. Singer songwriter Neil’s lyrics and melodies have won him the respect of the folk world in Australia. His DADGAD guitar playing has many fans, combining melody playing with a driving rhythmic accompanying style. Neil’s playing career commenced when he joined seminal Scots folk rock band “Silly Wizard”. After touring with the band, he cleverly quit before they found fame and fortune, and moved to the north of England. Since emigrating to Australia, he has been writing and recording his own material, working for more than 20 years with renowned Australian musician and producer Hugh McDonald and a collection of AusFolk luminaries to back him up. Neil’s debut album Aussie Lullaby was widely played and promoted around the country in 1995-6. His songs since then include many played extensively on ABC Radio, and he is included in Macca’s collection of his favourite tracks from 20 years of the show. (For non-Australian readers, Macca's 'Australia All Over' radio show is Australia's biggest audience radio show). Neil has also been busy arranging, writing, playing and singing with the the Melbourne Scottish Fiddle Club, whose 2010 CD Gates of Gold was a multi award winning project. The Robert Louis Stevenson Show is a change in direction for Neil and Judy, and has been well received by audiences at music venues and book festivals in Australia and the U.K. Fiddler and composer of tunes in the “celtish” style, Judy’s sound has a warmth and richness of tone which adds to the accompaniment of Neil’s songs. Her tunes are played and recorded around Australia and internationally, and she recently shared a Golden Fiddle Award at Tamworth Country Music Festival for her tune The New Millenium. Before teaming up with Neil Adam she played in a number of Melbourne’s favourite Celtic and Bush Bands – including Captain Moonlight, and the long-running and hugely popular Paradiddle. Judy is the founder and Director of the popular Melbourne Scottish Fiddle Club. Under Judy’s inspirational leadership, The Club has toured in Australia, UK and NZ, and their CD “Gates Of Gold” won The Folk Alliance Folk Album of the Year Award and awards at Tamworth Country Festival for Best Fiddle Album of the Year in 2009 and 2010. Recent ventures include two more Fiddle Club CDs, a recording with The Homegrown Quartet of Judy's music, the publication of a book of her original tunes and a compilation album called Collaborations, made up of 20 tracks from their extensive back catalogue, made in collaboration with artists from Australia, UK and Spain. Judy has had a great role in establishing the Robert Louis Stevenson Show with Neil and her presentation and commentary are vital components of it.